Is it a "cheap Chinese clone" if it's been out of production for years? Either way, good or bad, it's back. Everything looks the same except for the driveshafts. I think it's priced too high though. It looks like the Creeper Safari frame extensions are aluminum now instead of plastic. The switch for the locking diffs is still there. I hope they changed the design to full time locked. It's hilarious that they chose to clone this one. 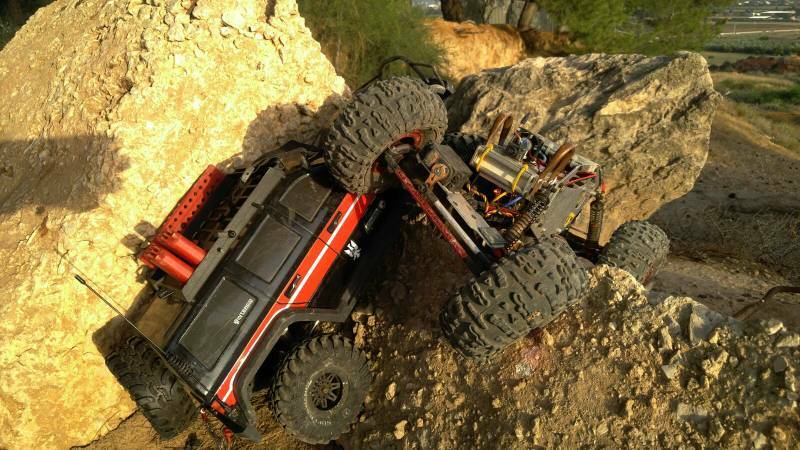 You know I'll be ordering one ,the Creeper was my first crawler in 2010. It says it's 1/8 scale? They used to cost $150.00 shipped. I had a creeper for my first crawler as well. I loved it. Not much was left stock though. Ended up with an ab designs chassis for that fastback style body less look. I remember getting the kit for like $120 so it does seem pretty high. It's tempting for sure. Anyone have a part number for cvd's? Mines been sitting for years because they seem to be unabtanium. I don't see any parts for the zd 08422, and no cvd for the creeper, maybe just buy a whole axle? I ran a RMDW Vulture chassis on mine. It appears someone is selling the same chassis now under a different name. I didn't know the wheelie king axles had any decent cvd options. What brand? Any chance on a part number? I'm not sure why I want this, but I do. I did order the GPM axles, but i haven't used them yet, so i don't know how strong they are. I still have my Creeper and Creeper Safari and a ton of spare parts. They've been on the shelf for years due to bigger and better products but the creeper was my first crawler.